RVNL Recruitment 2019 - Job notification for Chief Project Manager Post in RVNL, Chandigarh, Punjab on Deputation Basis. 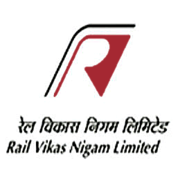 Applications are invited by Rail Vikas Nigam Limited on or before 27 Feb 2019 for 1 vacancy. Eligible candidates may send their application in prescribed format to Corporate Office/RVNL, New Delhi or email. shailendra.modi@rvnl.org on or before 27 Feb 2019, along with Vigilance/DAR Clearance AND APARs.